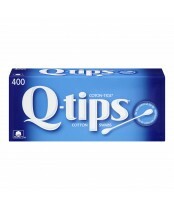 Q-Tips are the leading cotton swab brand and a name that has been trusted for quality and value for more than 80 years. 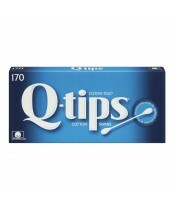 Created in 1923 by Leo Gerstenzang, Q-tips started as a product to help families care for babies. Today they are found in households across the country and used for a multitude of things including make-up application and removal, arts and crafts, baby care and household. Q-tips cotton swabs are soft, made from 100% pure cotton and gentle enough for even the most sensitive areas of the face including the eye area.